One of the coolest AI systems I’ve ever seen may also be the one that will kick me out of my job. 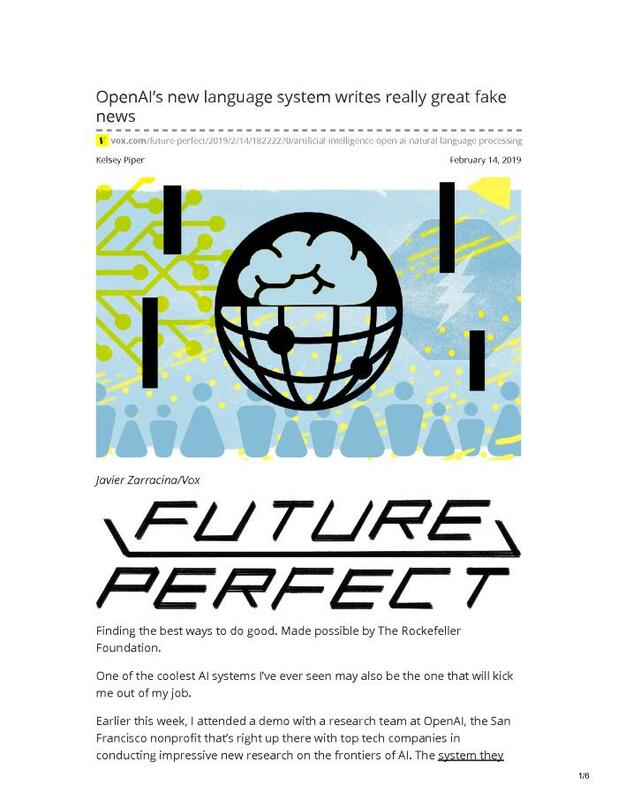 Earlier this week, I attended a demo with a research team at OpenAI, the San Francisco nonprofit that’s right up there with top tech companies in conducting impressive new research on the frontiers of AI. The system they showed me was a language-learning model that writes the news, answers reading comprehension problems, and is beginning to show promise at tasks like translation.